Towards the end of 2011 I began work on a creating a Football Management game written in AMOS. This page contains the current work in progress version of this game and issues identified during play testing. A work in progress demo of the game is now available for download from this page. Please be aware that the game is still a work in progress and therefore there will be bugs and quirks which still need to be corrected. When the game is finally completed it will be free to download and play but users will be encouraged to make a donation to my just giving page. Please donate as this will encourage me to make new games for the amiga and improve this game with further updates. The game has taken probably about 180 hours of my spare time to make so far and therefore whilst I don't personaly want any financial reward I would appreciate charitable donations to my chosen charity mencap. Amend the letter / message section at the end of the week. General Play testing and bug fixing. Add end game routine for when player wins the premier league. Review music tunes to only contain tunes which are appropriate for a football game. Include more news of the world scandals and player events. Check compatibility of game with different Amigas. 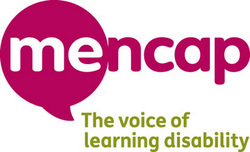 Contain splash screen for Mencap. Add High score table for end of season manager score. If you would like more updates about the game then you can follow us on twitter and look for #amosfootballgame posts - or join our facebook page. Below is the current work in progress version of the AMOS Football Manager Game - There are three disks (Game disk - music disk - data disk). Below are earlier versions of the game.